Let’s talk snoring. Are you sleeping with one who snores? Maybe you’re the one who snores. Either way, you have to do something about it. Here are 10 natural remedies for snoring. The first thing you should do to stop snoring is to change your sleeping position. It’s advisable to sleep on your side. Sleeping on your back sometimes causes the tongue to move to the back of the throat, which partly blocks airflow through your throat. Sleeping on your side may be all you need to do to allow air to flow easily and reduce or stop your snoring. If sleeping on your side is challenging, consider sewing a tennis ball to the back of you pajamas. It will stop you from sleeping on your back. While it sounds quite funny, it’s effective. The third natural remedy for snoring is to check your pillows. Make sure they’re clean. It might also be time to replace them. Allergens in your bedroom and in your pillow may contribute to snoring. When did you last dust the overhead ceiling fan? Replace your pillows? Dust mites accumulate in pillows and can cause allergic reactions that can lead to snoring. Allowing pets to sleep on the bed causes you to breathe in animal dander, another common irritant. Weight gain contributes to snoring as well. So, take a good look at yourself. If you’ve put on a couple of pounds and you’ve started snoring almost every night, then it’s time to lose some pounds. Overweight individuals are more likely to snore. Fatty tissue and poor muscle tone, particularly around the throat, contribute to snoring. Eating a calorie-controlled, healthful diet and regularly exercising are the best ways to lose weight. Another natural remedy for snoring is to load up on vitamin c. Vitamin C keeps the immune system healthy, which in turn, keeps the sinuses clear. The sinuses can obstruct the airways, causing the mouth to open and the uvula, the fleshy extension at the back of the soft palate that hangs above the throat, to vibrate and create the annoy of an all-night snore. Vitamin C may help prevent this because we know it helps promote a healthy immune system. That healthy immune system can clear the sinuses. Having a low, thick soft palate can narrow your airway. People who are overweight may have extra tissues in the back of their throats that may narrow their airways. Likewise, if the triangular piece of tissue hanging from the soft palate (uvula) is elongated, airflow can be obstructed and vibration increased. Think twice about drinking that bottle of beer. Alcohol and other medications can induce snoring. The root cause of snoring is vibration of the tissues while breathing. Some medications as well as alcohol can lead to enhanced relaxation of muscles during sleep. As the muscles of the palate, tongue, neck, and pharynx relax more, the airway collapses more. This leads to a smaller airway and greater tissue vibration. Some medications encourage a deeper level of sleep, which also can worsen snoring. If your nose is clogged, the natural tendency is to breathe through the mouth. 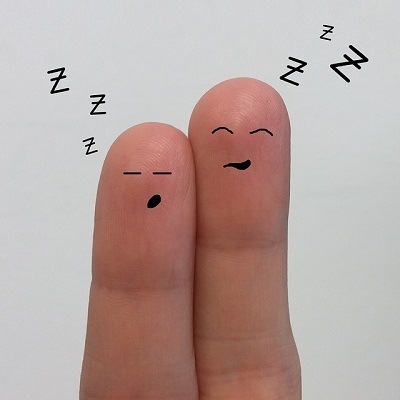 When you sleep with a clogged nose, you’re most likely to snore. A blocked nose – due to a cold, allergies, polyps or anatomical abnormality – creates the need for greater suction pressures to draw air into the lungs when breathing, which further narrow the airway. Mouth opening often occurs when the nose is blocked during sleep, which itself can cause snoring (via airway anatomy and pressure changes). While men are more likely to snore, older women aren’t spared at all. It’s quite interesting to know that menopause is a common cause of snoring. Women become more likely to snore and develop OSA after the menopause, because of lower levels of oestrogen and progesterone, which help protect and support muscles around the airways during child-bearing years. To understand why snoring affects almost everybody, one has to know what snoring is. Snoring happens when breathing is obstructed. Unfortunately, that can happen in a lot of ways. One way to obstruct breathing is by simply sleeping on the back. Smoking and drinking alcohol can also cause one to snore. When it comes to smoking, it’s not just the smoker who is prone to snore. Even the passive smoker can end up smoking. That’s because smoking — both active and passive — makes it more likely you’ll snore the night away, according to a study in the October issue of the American Journal of Respiratory and Critical Care Medicine. A CPAP machine uses a hose and mask or nosepiece to deliver constant and steady air pressure. Common problems with CPAP include a leaky mask, trouble falling asleep, stuffy nose and a dry mouth. Wearing an oral device is a less painful alternative. Needless to say, it’s also a very convenient alternative. It just has to be worn while sleeping and that’s it. These days, oral devices are worth considering. Contrary to what people think, oral devices do not actually cause jaw pain. As a matter of fact, wearing an oral device does more than just open the airway. It also prevents the teeth from grinding. Teeth grinding and clenching are part of a condition called bruxism, which is a sleep-related movement disorder that can cause a variety of problems, such as tooth pain, jaw pain, and sore gums. It can also damage your teeth. 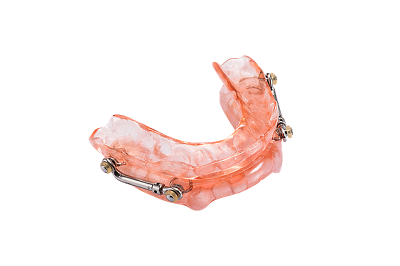 Wearing a mouthguard while your sleep can help keep your top and bottom teeth separated so they don’t damage each other from the pressure of grinding or clenching. A good example of an oral device that can protect the teeth from grinding is a boil-and-bite mouthpiece. Today, Project Sleep issued the following public statement after receiving many questions from community members about the upcoming feature-length movie, Ode to Joy. I look forward to sharing more news as soon as we can. Thank you for your incredible support of Project Sleep’s efforts to improve outcomes for people with narcolepsy through our programming including the Rising Voices fo Narcolepsy leadership training program, Narcolepsy: Not Alone campaign, Jack & Julie Narcolepsy Scholarship and our exciting new effort joining 21 other organizations around the world to establish the inaugural World Narcolepsy Day for Sept. 22, 2019!! Symptoms of tiredness, fatigue and sleepiness are common in chronic fatigue syndrome. How can these symptoms be addressed and sleep improved in people with fatigue syndromes? In this episode we tackle these questions with the help of Nathan Butler of Active Health Clinic. Dr Moira Junge (Health Psychologist) and Dr David Cunnington (Sleep Physician) host the monthly podcast, Sleep Talk, talking all things sleep. 34:07 – 35:05 What’s Coming Up? 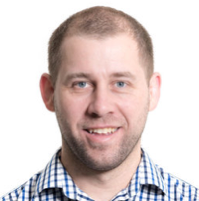 Nathan Butler is an accredited exercise physiologist with over 15 years experience working as the coordinator of specialist inpatient and outpatient programs at the Austin Hospital in Melbourne and at the Royal Free Hospital in London in the areas of CFS as well as cardiac, respiratory and orthopaedic rehabilitation. Whilst in the UK Nathan was involved in the PACE study which investigated treatment modalities for CFS and the study was recently published in the Lancet. 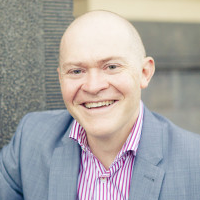 In 2008 Nathan established Active Health Clinic with his values of long term self management through knowledge, compassion and trust leading to Active Health Clinic being a leader in it’s field. Dr Moira Junge is a health psychologist working in the sleep field, who has considerable experience working with people with sleeping difficulties in a multidisciplinary practice using a team-based approach. Moira is actively involved with the Australasian Sleep Association (ASA) and a board member of the Sleep Health Foundation. She has presented numerous workshops for psychologists and is involved with Monash University with teaching and supervision commitments. 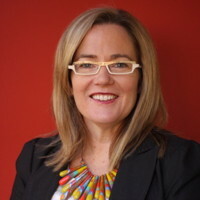 She is one of the founders and clinic directors at Yarraville Health Group which was established in 1998. In addition to her expertise in sleep disorders, her other areas of interest and expertise include smoking cessation, psychological adjustment to chronic illness, and grief and loss issues.